Hope- the missing Mental Health ingredient. Hope. The missing menatl health ingrediant. Without hope treatment for mental illness is ineffective. 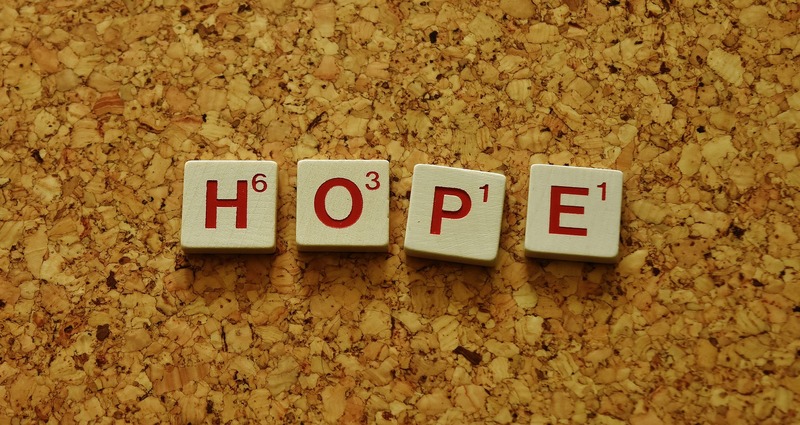 Large doses of hope may turn out to be the most effective treatment for mental illness. It is an ingredient that has been missing from treatment programs for far too long. The conventional wisdom, when it comes to mental health, turns out to not be true. For a long time, there has been the belief that there are two kinds of people, the normal and the mentally ill. The result of this thinking error was that we lost hope for those with a mental illness to recover. Turns out that they is us. In their lifetime half of all Americans will have an episode of a mental illness that should be diagnosed and treated. No, just toughing it out and pretending you do not have a problem will not make it go away. Mental Health is on a continuum. Some people’s experience of a mental illness will be more severe than others. People on this continuum can move to being more healthy or less mentally healthy. Just like physical health, you may not be able to know who is going to get which disorder at which time but we know there are risk factors and ways to keep yourself more mentally healthy. This misunderstanding, that people without a mental illness can get better or worse and so can those with a mental illness, has impeded our ability to help those experiencing an emotional problem. Many of our mental health treatment systems are still stuck in that old way of thinking. If the mentally ill are different from the rest of us then they will always be ill and society needs to take care of them and run their lives. That approach is devoid of hope and disregards the role of the person with an illness in managing their symptoms and their life. If we recognize that mental illness, like physical illness, can get better at times and worse at times, then this tells us that there is hope. Hope for recovery is fundamental to any rational approach to treating mental illness. If those with a mental illness are not permanently stuck in a hopeless place then there are things that they can do to improve their mental health and wellness. This concept, that people with a challenge can live meaningful lives, that you can recover, is one of the basic tenants of 12 step programs. It seems that recovery works very well for alcoholism and addiction – why not for mental illness? By recovery or Wellness and Recovery we do not necessarily mean a cure. Some conditions, once you have them, there will always be a risk of a relapse. Both Mental illness and Substance Use Disorders are conditions for which there is a high risk of relapse. If there are things that increase the risk of relapse then there are certain things that can reduce this risk. This means to me that recovery from mental illness is not something that the doctor or therapist does to the client, it is something we help the client learn to do for themselves. Some of you are thinking, yeah right! They need to see a doctor for medication. Yes, this is true. They need the doctor’s expertise when it comes to medication. But those meds are worthless unless that person has the skills needed to take those meds as prescribed. Every program I have ever worked at has talked about a subject called “medication compliance” as if getting people to take their meds was something we professionals should make people do. Truth is we get the best results, and so do the clients, when we empower clients to actively participate in this process. This concept, that Hope is a necessary part of recovery, is not something original with me. The value of hope has ancient roots. When it comes to mental health it is a concept that’s time has come. W.R.A.P. – Wellness and Recovery Action Planning. Recently I had the pleasure of attending a training on a program called “WRAP” which stands for Wellness and Recovery Action Planning.” This program was developed by and for mental health clients/consumers to use in planning to maintain their mental health and to have a plan for what to do if that mental health faced a challenge. As a result of attending this training, I am now a certified W.R.A.P. Facilitator. If you want to know more about that contact me or check out the links above. One of the important parts of this training was the discussion of 5 “Key Concepts” that are the foundation of the W.R.A.P. program. One of those Key concepts? You guessed it. – HOPE. How do all of you feel about this radical concept – Hope? Do you have some? Do any of you have stories about hope and recovery you would be able to share with the other blog readers? Consider how much hope you have and how you can build more hope for you and others. This entry was posted in Hope and tagged By David Joel Miller, Hope, Licensed Therapist & Licensed Counselor, Mental Wellness, W.R.A.P., Wellness and recovery, Wellness and Recovery Action Planning by David Joel Miller. Bookmark the permalink.